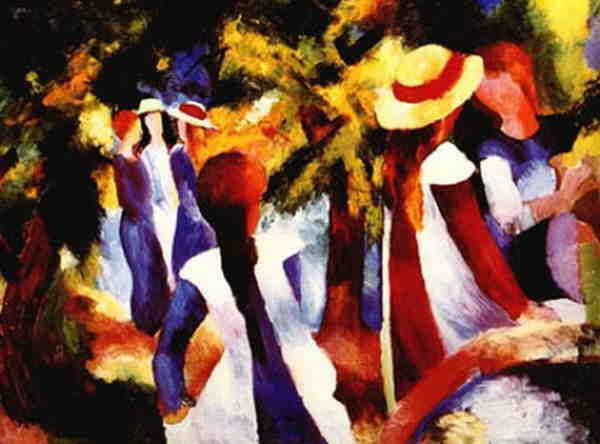 Macke, August , 1887-1914, German painter. Trained in Germany, he made several trips to Paris, where he came in contact with impressionism and the fauvist and cubist painters. A brilliant colorist, he joined the artists Franz Marc and Kandinsky and exhibited with the Blaue Reiter group. In 1914 he traveled with Paul Klee to Tunisia. 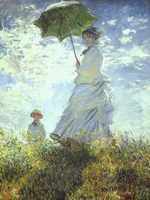 There he created watercolors of a fine transparency with subtle prismatic patterns. Macke had barely finished Farewell (Cologne) when he was conscripted. He was killed in World War I.